I got some fresh blueberries at Michinoeki on the way to Tsunekami. 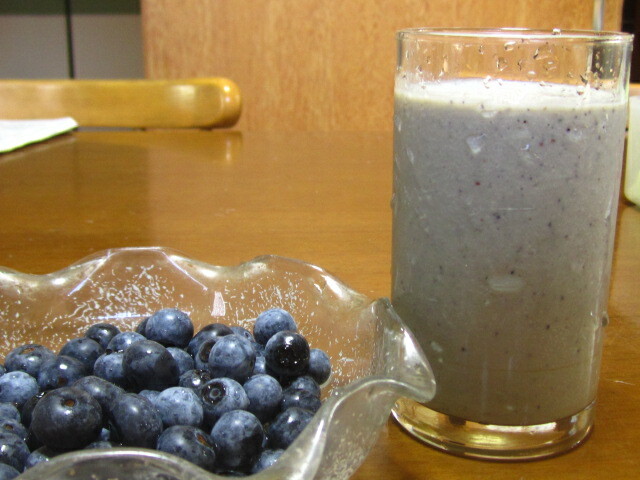 When I made goya juice I added blueberries to it. As a result the sour taste made this juice more delicious. After my previous article about goyajuice, my friend sent me a comment. According to that it's possible to freeze goya and banana. It's very useful and we can enjoy having cool juice whenever we feel hot. Please try this yourself !